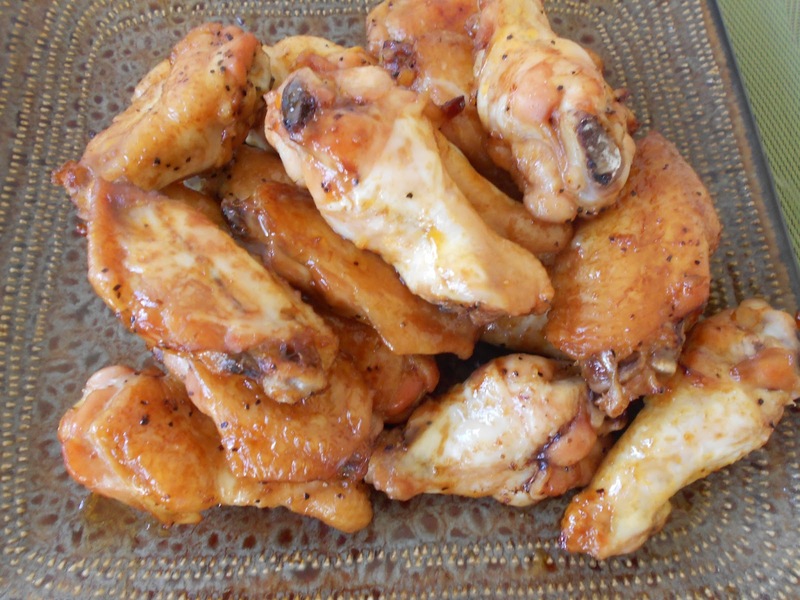 We’re back this week with more tailgating food whether you’re using a truck or a sofa you can’t go wrong with these Baked Spicy Chicken Wings another Sue Dyer recipe forwarded to Naomi. It’s a tasty one and a little bit softer and not as messy as Naomi’s first Sue Dyer recipe, Caramelized Chicken Wings, these wing were a winner. Naomi says, I do have to admit that I did think they would be spicier than what they were. I found they were a tad sweeter. They were still pretty dang tasty and easy though. If a spicier wing is desired, I would add some more hot sauce. Don’t go above an extra tablespoon though! Do yourself a favor and line the pan with aluminum foil. This can be a really messy dish and why not make clean-up as easy as possible. I know I will be making these again when sofa tailgating season comes along. 1) Preheat oven to 375° and line a pan with aluminum foil. 2) In a large bowl, combine rest of the ingredients. Add chicken & toss. 3) Arrange wings and sauce in the pan. 4) Bake for about 1 hour until the chicken is no longer pink inside. Turn several times during the process to ensure complete covering of the wings with the sauce. 5) If the chicken starts to burn, turn the heat down a bit.